The chandelier still falls and crashes. There's plenty of fog, smoke and mist. The underground lair of the title character remains eerily intact. "The Music of the Night?" "All I Ask of You?" And therein, lies the magic, the allure and the fascination. 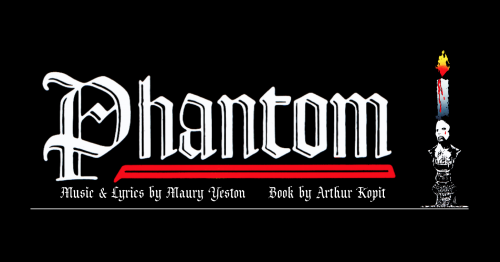 In the Maury Yeston/Arthur Kopit musical "Phantom," it is the beguiling story of a hideously disfigured man who lives below the Paris Opera House that is the centerpiece of this traditional book musical and not its crashing chandelier, foggy underground lair, tall, grand staircases and lush pyrotechnics that spin the story into motion. Instead, this musical telling, based on the Gaston Leroux novel "Le Fantome de l'Opera," is simple and direct in execution and not controlled by grandiose automated trappings, special effects and tons of extravagant scenery. And that is what separates it from the opulent Broadway and West End production of Andrew Lloyd Webber's "The Phantom of the Opera." 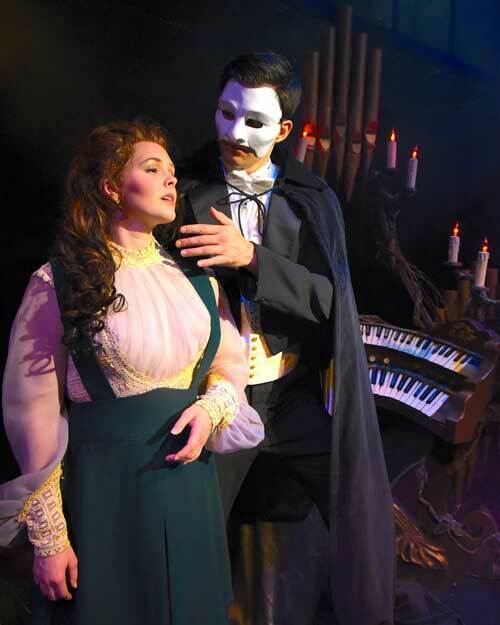 This "Phantom," which is just as relevant and universal, dances to an entirely different tune. Here, the emphasis is on story, a "book story" reminiscent of the valued, typical Broadway musical of yesteryear. Things, of course, are just as powerful and just as exciting as any of the other "Phantom" stories, but in this interpretation, there's much, much more emphasis on characterization, sub plots, the subterranean life of the Phantom (called Erik, here) and a complete back story on how the masterful Paris Opera ghost was conceived (his dark story from birth to adulthood is reenacted in Act II), which heightens the musical's angst and emotion. The characters, are pretty much the same, with the exception of the Count Philippe de Chandon who, surprisingly, is not as relevant to the actual story as he was in the Andrew Lloyd Webber musical and has only one song to sing, a duet with Christine Daae, performed, not on a rooftop, but in the on the Avenue De L'Opera. Everything about this "Phantom" is absolutely brilliant and intriguing. 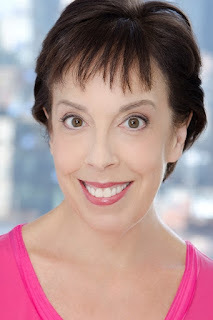 It is yet another major achievement for Westchester Broadway Theatre, a classy, diverse Equity showcase whose compassion for musical theater was evidenced earlier this year with its lively, sparkling presentation of Cole Porter's effervescent "Anything Goes." With "Phantom," that excellence continues. 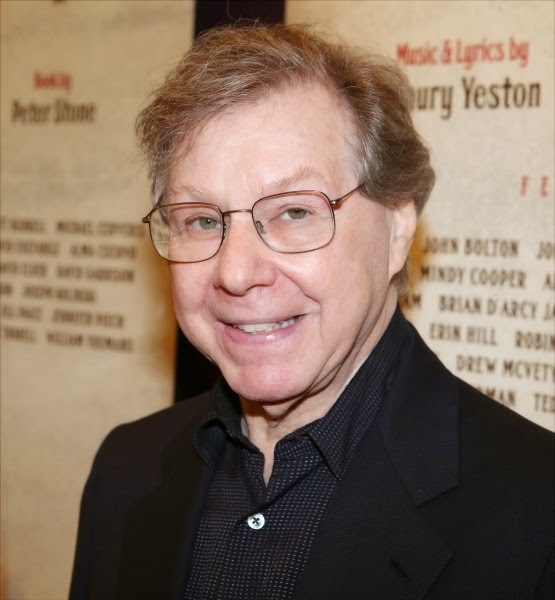 An obvious fan of musical theater and brooding turn-of-the-century operettas, composer/lyricist Maury Yeston knows exactly what works, what doesn't work, what buttons to push and when to amp up the emotional romanticism of the story. 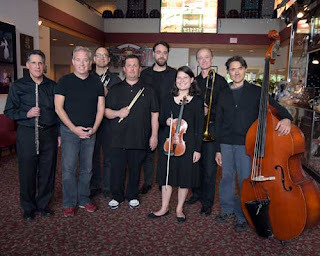 With "Phantom," he crafts beautiful, stirring melodies, character-driven solos, unbridled musical emotions and stories, fiercely passionate choral numbers and other musical treats that drive the plot reverently as characters stand proud and tall, their voices rich in song and conviction. Yes, this "Phantom" is an homage, in part, to operetta. 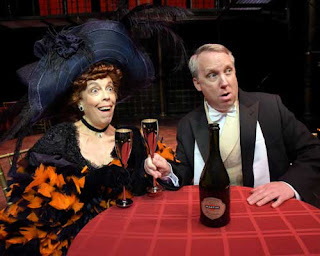 It is also an homage to old fashioned, romantic musicals of yesterday. But there is no copycatting. There is no grandstanding. There is no padding or ridiculous overkill. There are no damnable pronouncements. From the start, his "Phantom" has plenty of heart, soul, passion and drive. It knows exactly where it is going, how it is going to be played out musically and dramatically and how it is going to end. It also contains a horror element that is both edgy and eerie, but without the overblown theatrics of other "Phantom" stories. The songs fulfill a purpose and nicely advance the story. Nothing is thrown in by the composer/lyricist just to give a principal character or supporting one another song to sing. Nothing is added or padded dramatically to extend the musical an additional fifteen or twenty minutes. Here, as with "Nine" and "Titanic," Yeston's song line up is precise, imaginative and genuinely focused. 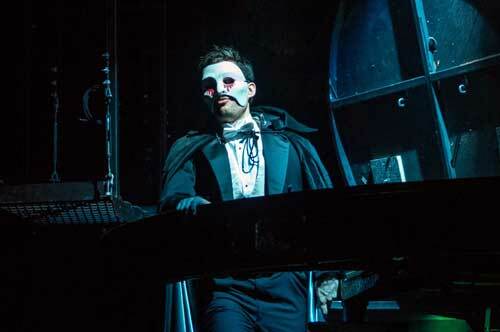 In turn, the "Phantom" score, which includes 21 songs, unfolds with unbridled charm, mystique and verve. It's romantic and beguiling when it is meant to be. It is eerie and moody when it must be. It is campy and outrageous when it's time to lighten things up just for a bit. It enchants and cajoles when the mood is playful and rapturous. It also complements the plot machinations and wondrous inventions of Arthur Kopit's book (the playwright adds plenty of detail, dimension and humanity to the story), without any forced or obvious calculation, which, often is the case, with book musicals. 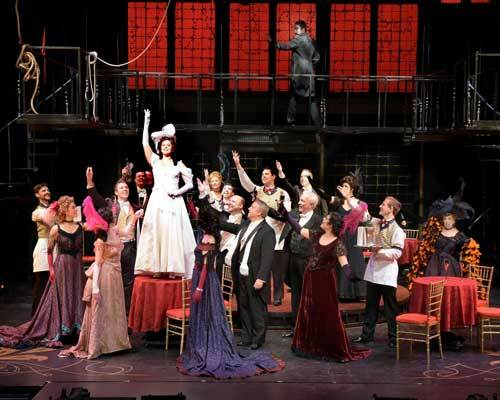 Musical highlights include "Melodie de Paris," "Home," "This Place Is Mine," "Without Your Music," "Where In the World," "You Are Music," "You Are My Own," "My True Love" "Who Could Ever Have Dreamed You Up" and "Dressing for the Night." Given the power of the music and its elicitation of strong, significant emotions, Bob Bray is the perfect fit for "Phantom" He is a first-class, masterful musician who knows exactly how to make Yeston's musical score resonate, fascinate and dance with the magic, pulse, danger, angst and emotion intended by the composer/lyricist. He also deftly plays the keyboard and surrounds himself with a tremendously talented orchestral team ( Ryan Edward Wise (keyboard), Brian Uhl (trumpet/flugelhorn), Pat Lombardo (reeds), Jay Mack (percussion), Jordan Jancz (bass), Steve Bleifuss (trombone) and Katie Von Braun (violin) who breathe new life into the "Phantom" score and make it as powerful and important as that other "Phantom musical by that celebrated Englishman named Webber. Things are gloriously played with great pathos, humor, swiftness and sweetness. And under his tutelage, the entire "Phantom" cast unite and raise their voice in song without ever once missing a single beat, pulse, note, harmony, rhythm or piece of important music. Simply beautiful. Staging "Phantom" (three times now) is Tom Polum, a talented auteur, whose WBT directorial credits include "Funny Girl," "Hello, Dolly!" "Carousel," "Grease," and "Oklahoma!" From start to finish, he nails the intensity and integrity of Kopit's writing with razor-sharp directness that is startling, deliberate and melodramatic. His grasp of the material is so solid and honest, it's impossible not to be thrilled or moved by it all, despite familiarity with the subject matter, the characters and the actual ending. 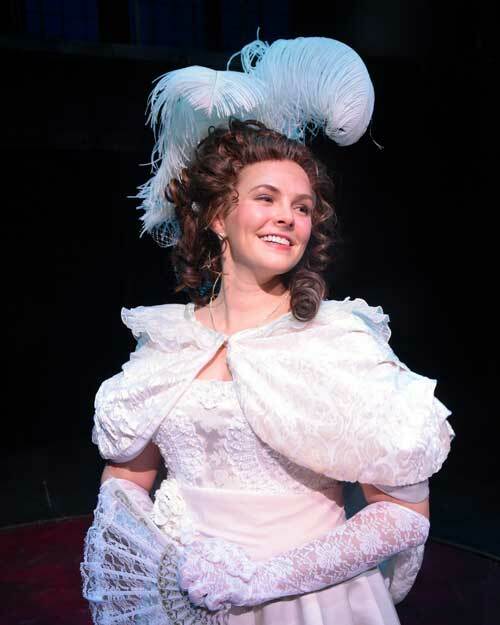 Throughout the two-act musical, there's plenty to enjoy and applaud here as Polum pays close attention to the 19th century atmosphere, locale and period of the "Phantom" story, its character interaction and exchanges and various shifts in plotting. Highlights include a beautifully choreographed, extended "back story" sequence pinpointing Erik's birth, youth and damaged adulthood; the mad but justified electrocution of Opera diva Carlotta; and that very big moment when the title character finally takes off his mask to show Christine (and not the audience) his disfigured face. It's all very melodramatically conceived by the director and intriguing reenacted by the performers, all of whom are with Polum every step of the way. The pulverizing, thrilling quality of "Phantom" is anchored by the rich, intelligent performances if its leading and supporting players. 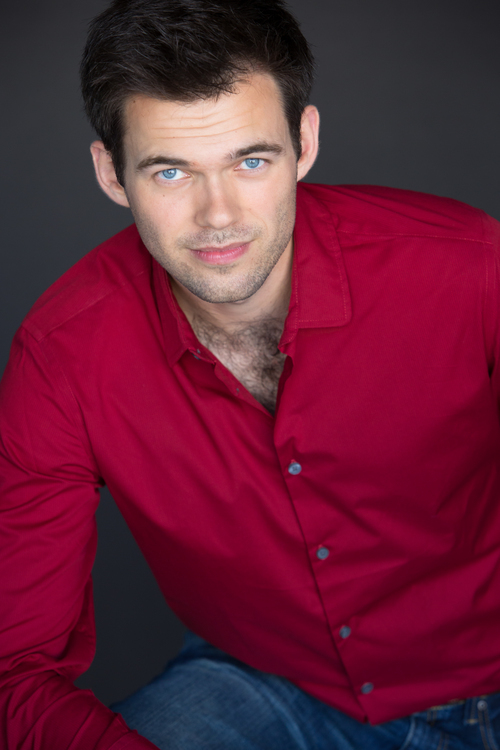 Making his WBT debut is Matthew Billman, a driven, personable, serious actor/singer who is absolutely perfect for the masked, mysterious phantom character he is asked to portray. Possessing a fine, commanding voice well suited for musical theater, he takes hold of the many songs Yeston has created for the production and brings the necessary strength, resonance and passion to every one of them, including "Where in the World," "Home" and "You Are Music," his emotionally driven duet with Christine. Acting wise, he offers a deep, dark and impassioned portrayal of a wounded, tortured, unworldly outcast that is real, raw, awkward and affectingly played. As Christine Daae, the beguiling, young woman who becomes Erik's musical protégée, Kayleen Seidel, in her WBT debut, possesses that lilting, crucial soprano voice that befits her character. 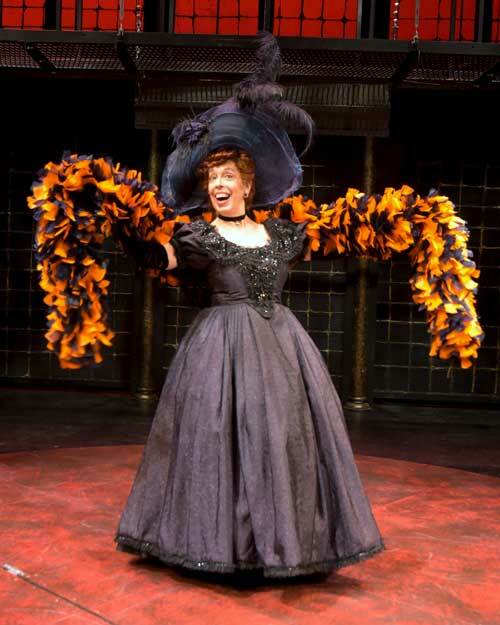 Opening the show with the harmonious "Melodies de Paris," she acts the part lovingly and sings beautifully and powerfully throughout the two-act musical. Her clear, vocal articulation and strength is also combined to wonderful effect in "My True Love" and her three duets "Who Could Ever Have Dreamed Up You?" "Home" and "You Are Music." Snarky, devious and egotistical, Sandy Rosenberg, returns to WBT to play the part of the desperate, egotistical Opera diva Carlotta after an eleven year-absence. It's a wild, outrageous full-bodied role that the actress plays with scene-stealing glee and icy contempt. Her expressions, body language, double takes and line delivery are perfectly in sync with the author's wicked intentions as she dazzles, taunts and chews up the scenery and anyone else who gets in her way. Then again, that's the point, isn't it? Her big territorial character turn "This Place Is Mine" is acted and sung in true diva fashion. And when her just demise comes in the middle of Act II via electrocution by the title character, it's a fitting end to her dastardly deeds that's played to the hilt by both performers and the special effects team at WBT. 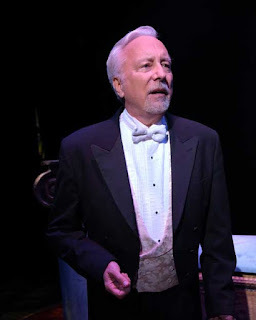 Returning to WBT where he appeared in all three "Phantom' productions, James Van Treuren is full of thrusting vitality and nuance in the pivotal role of Gerard Carriere, the Opera House's purposely dismissed general manager who plays an important part in Erik's life and the conclusion of the "Phantom" story. It's a superb character turn, both vocally vocally and musically. Larry Luck is a charming and handsome enough Count Philippe de Chandon, exuding proper dash and personalty. But sadly, he isn't given much to do in the story. Nonetheless, he makes the most of whatever stage time he's given in Act I and Act II. Technically, this production of "Phantom" is suitable for framing. The 19th century, old world, French-flavored set (designed by Steve Loftus and Carl Tallent) which includes trap doors, hidden passageways, Opera House balconies, corridors and stairs plus a revolving center stage turntable that rises and spins up in the air to reveal the Phantom's underground lair is both dazzling and effective. Andrew Gmoser's moody, atmospheric lighting palate and Mark Zukerman's resourceful sound design complements the proceedings as does Keith Nielsen's choice, visually pleasing period costume designs. In conclusion, "Phantom" is a commanding, fast-paced gothic-induced musical melodrama, served up in Grand-Guignol style that often takes your breath away. It is beautiful. It is melodic. It is edgy. It is a creative oeuvre, destined for renewed appreciation by a musical team (Kopit and Yeston), prone to a loving assortment of non-repetitious, effervescent musicality that lends itself nicely to the oft-told story of Gaston Leroux's "Le Fantome de l'Opera." That said, there's the food. The menu is very nice, chock full of delicious, well-prepared entrees, starters, desserts and drinks. The juicy, melt-in-your mouth boneless prime rib of beef is an absolute must, as is the shrimp cocktail and tangy lemon sorbet. The food service itself is handled by staff members who are very good at their job and who trust everyone around them who are equally skilled. From kitchen staff to busboys and servers, the Westchester Broadway Theatre cuisine department is run by experts who create a warm, inviting dining experience that feels like an ocean liner cruise from yesteryear in the very best way. For tickets or more information, call (914) 592-2222. Jim is an international/national/ regional entertainment critic and features writer who has written for several major newspapers and magazines and has interviewed hundreds of celebrities including Hugh Grant, Leonardo Di Caprio, Catherine Deneuve, Isabelle Huppert, Bette Davis, Faith Hill, Kate Winslet, Kevin Bacon, Laura Linney, Bryan Cranston, Candice Bergen, Jason Bateman, Kristen Scott Thomas, Burt Lancaster, Mel Gibson, Linda Gray, Westlife, Elaine Paige, Bernadette Peters, Diane Lane, Betty Buckley, Tom Cruise, Kurt Russell, Nathan Lane, Natalie Portman, Julie Andrews, Mia Farrow, Glenda Jackson, Dylan McDermott, Linda Eder, Sam Waterston, Joan Collins, Shirley MacLaine, Linda Evans, Robert Wagner, Susan Lucci, Olivia Newton John, Angela Lansbury, among others. He has been interviewed by "The London Times," "Entertainment Tonight," "WTNH/Channel 8," "The Guardian" and "The New York Times." In September, 2018, he became a member of the prestigious Connecticut Critic's Circle. 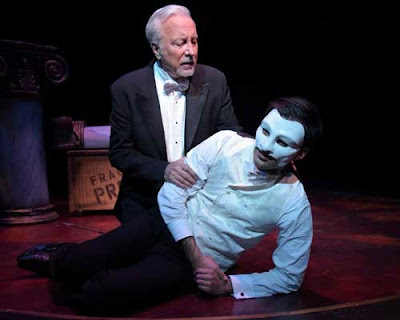 He will also participate, as voter and nominator, in the 2019 Connecticut Critic's Circle Awards, a noteworthy awards event, which honors and celebrates the best in professional theater in the state.